A subject that is often widely debated in political news media is the recurrent issue of the US budget and subsequent budget cuts. In recent years, public assistance programs have continuously found themselves on the chopping block, despite exorbitant tax breaks offered to multi-billion dollar corporations. The problem with media coverage of welfare reform is less about what they are saying and more about what they are not saying. Discussions about welfare are often diluted to a two-dimensional problem: welfare queens and the working poor. What news media continually fails to cover is the 73% of entitlement benefits which are allotted to two of our most vulnerable populations: the elderly and people with disabilities. Even in articles which attempt to cover the ill effects of anti-poverty reform in the US seem to miss the mark in truly underscoring the populations which these programs serve. In this article from The Atlantic, there is only one mention of disability, and it is only a referral to the various types of payments the poorest American’s receive. 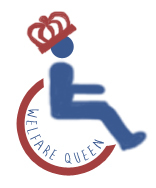 Even this article from Salon which denounces the media created stereotype of the “welfare queen,” seems to simply repeat the stereotype (in case anyone missed the coverage before, they surely have it in their head now), and then fails to inform the reader about exactly who is receiving benefits and why these programs are in integral part of survival of people with disabilities and other financially vulnerable populations. This article from NBC News appears to criticize an NPR report on the number of non-disabled people receiving Social Security disability. Yet like the Salon article, not only does it simply restates the stereotype created by the NPR report without providing any context about Social Security Disability, it does not refute the information with any statistical evidence regarding the needs of the disability community and how urgent this coverage is for so many Americans. Fortunately, there is some glimmer of hope on the horizon. The Daytona Beach News-Journal recently feature two articles outlining the effects of cuts to people with disabilities. The article, though fairly brief, attempts to provide context to the wide net of needs of the disability community, and how cuts can affect not only necessary programs like SNAP, but also programs which provide a better, more inclusive quality of life for people with disabilities. Debates in the news media about entitlement programs are not where this problem ends. The media consistently fails to cover the effects of budget cuts in education, health services, housing programs, legal services, technology, transportation, and more. It is time for news media to cover issues of disability with context, statistics, and accurate representations of the individuals most affected by these issues. Despite the fact that nearly 20 percent of the US population and 15 percent of the world’s population have disabilities, very little news coverage is provided for issues concerning people with disabilities. We know from existing research that media representations shape the perceptions we have about cultures with which we do not have personal experience, and these representations (and resulting perceptions) are not always positive. In the case of disabilities, mainstream news media largely ignores issues of importance to the disability community and when stories are covered, the constructions of people with disabilities are often very narrow, either presenting members of this marginalized community as helpless, in need of charity, or representing one of a few select disabilities such as Downs Syndrome, someone using a wheelchair, or more recently, autism spectrum disorders. This past week, two very different articles about issues of disability were presented by ABC News/Good Morning America and Al Jazeera America. The first article titled, “Read Ohio Dad’s Tear-Jerking Letter to Newlywed Daughter With Down Syndrome,” from ABC News wasn’t the worst article I’ve read about people with disabilities, but there were a few glaring issues. This article shared a story about a father who had written a letter to his daughter with Down Syndrome on her wedding day. While ABC should be commended for including a story portraying a person with a disability participating in a common life activity (a wedding) which many people assume is not a viable life option for people with disabilities, there is one noticeably absent participant in this story: the woman with the disability, Jillian. It is revealed in this story that the father was approach by another media outlet, themighty.com, to write about his daughter with a disability getting married. Oddly, as the story on ABC unfolds, not only are the subjects of the story, Jillian and her new husband Paul (who also has a disability), not including in telling the story, at the end of the story the father reveals that he has not actually given the letter to Jillian. This left me wondering if Jillian was unknowingly part of a news story about a letter from her father on her wedding day of which she has no knowledge? It makes the entire story seem like more of a story to get clicks than to bring awareness about the abilities of people with disabilities. In addition to Jillian and Paul being absent in the process of telling their own story, the article also does very little to provide context to why the father is writing this letter, other than revealing briefly that many people assume people with disabilities cannot accomplish the same things neurotypical people can accomplish. I think if Jillian and her husband had told their own story about struggles with cultural attitudes towards people with disabilities it would have provided an opportunity to challenge the readers own assumptions or beliefs about people with disabilities. The second article titled, “Public schools disturbing conflation of race and disability,” while not perfect, does a far superior job covering an issue of importance to the disability community than the ABC News article above. Given the weight of this topic and the depth that would be required to understand the full extent of the issues, I thought the article was a great introduction to the topic and provided an abundance of links to previous research findings, statistics, and existing laws, which provided readers the opportunity for a deeper understanding of the issue of race and special education. The article also attempted to not point to just one issue of race that affects special education, but tackled several different angles, including identification, discipline, quality of resources and treatment, and how advocates would like improve the system. Unfortunately, like much of the media coverage about disabilities, the author of this article did not seek out and include the input and experiences of students with disabilities in reporting on this issue. By including the stories from students themselves, I think the story could have been far more powerful in conveying the issues than just a listing of statistics and studies. These improvements would have created a really stellar piece of reporting on a very important issue for the disability community. 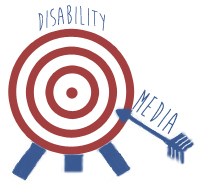 DonnellProbst.Com will examine the relationship between disability and the media. We will attempt to challenge narrow constructions and question the underrepresentation of people with disabilities in current media. Currently there is very little existing literature or practice focused on disabilities in media literacy education. My goal is to shine a light on the need for media literacy education to include topics relevant to the disability community. DonnellProbst.Com will not argue personal opinions or the validity of personal belief systems. We all have opinions, however, we strongly feel opinions should be formed through factual, evidence-based research and outcomes. This is not a forum designed to draw universal agreement. Our goal is to challenge the opinions, stereotypes, and assumptions of the media. Our opinions will be designated as such and we encourage our readers to evaluate and designate their comments in the same manner. While I will attempt to remain politically neutral, it is important to remember that sometimes there is a “correct” side of the argument. We will not give weight to opinions and practices in the media which devalue people with disabilities, and will do our best to provide facts and/or evidence to support our view.